UNDER CHARTER OF MEDINAH TEMPLE, A. A. O. N. M. S.
Meeting of October 7th, 2017 called to order at 9:30 am, by Dean Erickson, President. Other Members/Guests Present: Ron Connelly, Orv Grammer, Hall Erickson, Jim Ridder, and Jim Wescott. MINUTES: Minutes of September 9th, 2017 Meeting distributed, reviewed, and approved. Geneva Chamber of Commerce - Request received for January Chamber of Commerce newsletter regarding Club. Information will be submitted. 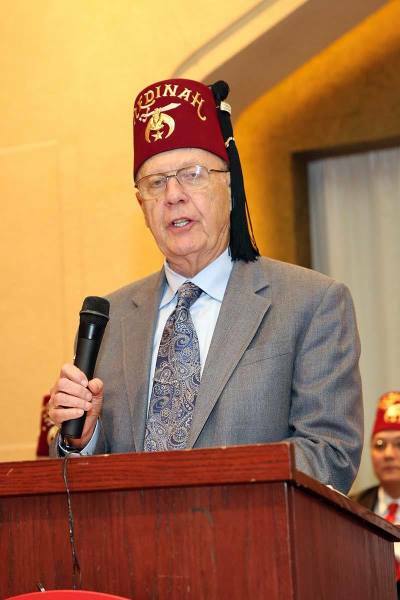 Medinah's Directory FVSC AD - Email received from Shrine Club Director Cal Tazelaar asking if FVSC wanted an ad like last year in the 2017 directory. Club approved the Ad. COMMENTS FROM MEDINAH - by Assistant Shrine Club Director Jim Ridder. Always go to Medinah's web site for full details on all Medinah Events (www.medinah.org). Membership - 61 members paid. Medinah Scimitar - Latest issue Dated March 14, 2017. Fair Article submitted for next Issue. Calliope - Jake and Walter are working on the audio. Kane County Fair - Following members will attend Kane County Fair Board Annual Appreciation Dinner on Monday, November 6th, 2017 Dean, Hal, Orv, and Jake. Web Site - Working ... still getting hits ... James provided update. 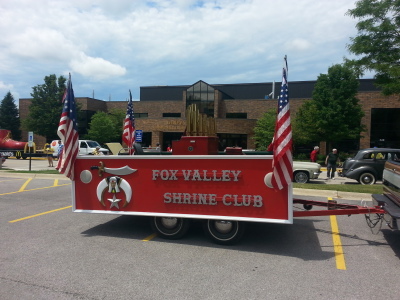 Fox Valley Shrine Club Annual Meeting will be held at Geneva Lodge 10 S. 3rd Street Geneva, Illinois 60134 Second Floor at 9:30 AM. The meeting will be held at at Houlihan’s, Geneva Commons, Geneva, IL on the 17th of January 2018.